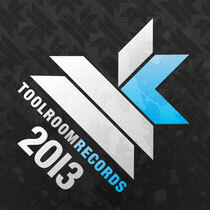 'Best Of Toolroom Records 2013' brings a collection of the best Toolroom tracks of the year. Celebrating the label's 10th anniversary has led to a collection of releases from some of the biggest DJs and producers in the industry. Featuring an array of eclectic sounds from Toolroom favourites and possible future stars, this year's 'Best Of' album rounds up everything from tech house, electro, techno, house, progressive and beyond from a line up of artists including Mark Knight, Hardwell, Armin van Buuren, Digitalism, Bloc Party, UMEK, Prok & Fitch, Shadow Child and Doorly. The album consists of 50 full-length tracks and two DJ mixes, allowing you to relive some of the best singles and compilations from the year including all the exclusive tracks from Miami, Ibiza and Amsterdam. Filled with Top 10s such as Mark Knight's 'Your Love', Chopstick & Johnjon's remix of 'Zdarlight', Hardwell's remix of 'Man With The Red Face', Nicky Romero's 'Still The Same Man' and Sander van Doorn & Mark Knight V Underworld's 'Ten'. Make sure you don't miss out and grab this ultimate collection of what are undoubtedly the best Toolroom tracks of 2013. It’s out 9 December, check the video out below.